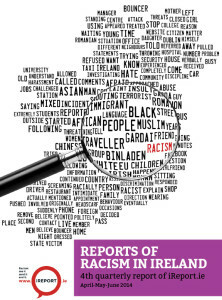 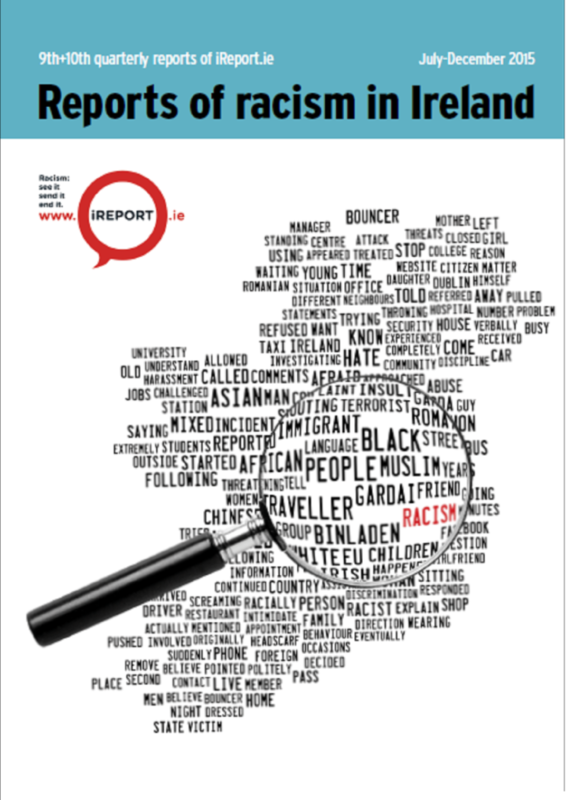 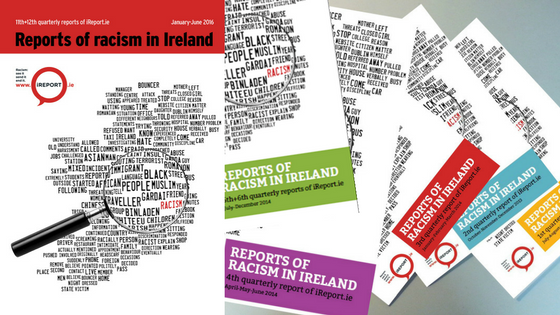 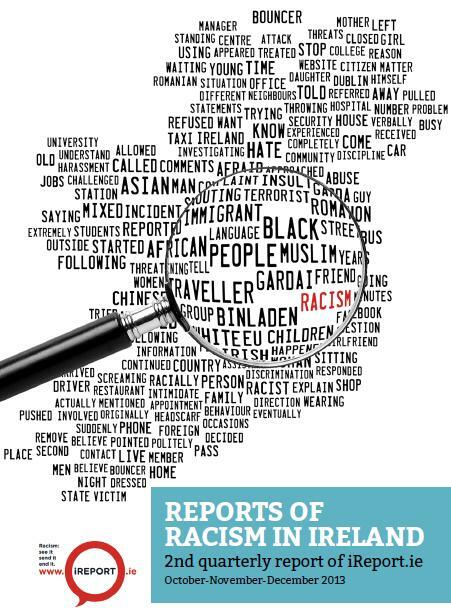 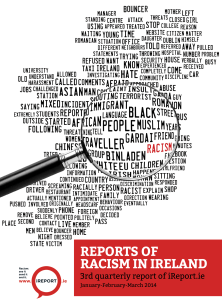 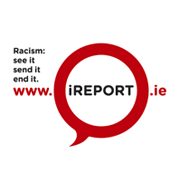 Authored by Shane O’Curry (ENAR Ireland) and Dr Lucy Michael (Ulster University) the iReport Racist Incident Reporting System was launched in July 2013. 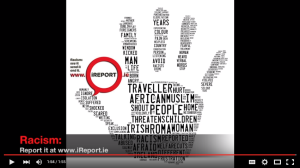 Reports can be made directly through the website or through a partner organisation. 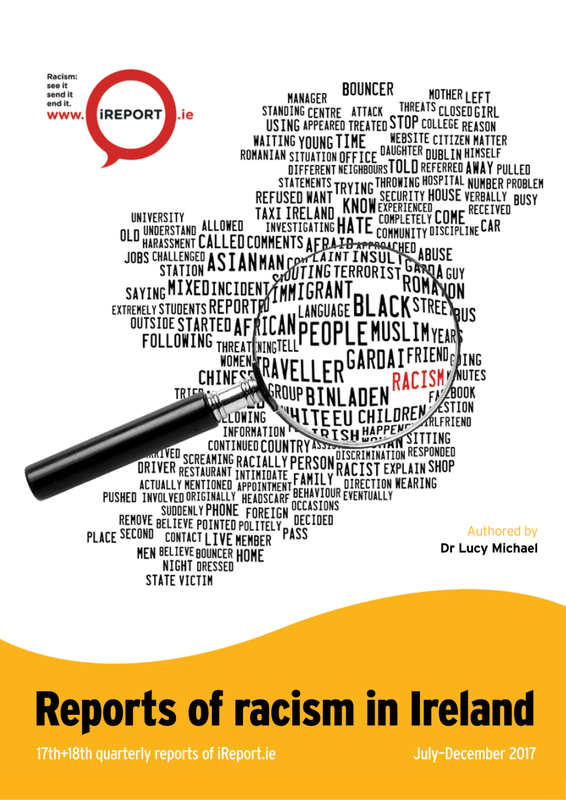 Questions are designed to capture a large amount of detail about racist incidents, including information about where, when and how the incident occurred and details about the victim(s) and perpetrator(s). The system also captures information about why the incident has been perceived as racist, its impact on the victim and/or witnesses, and the interplay with age, gender, sexuality and disability. 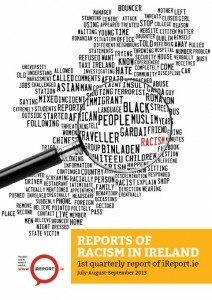 The recording system has been designed to allow comparison with international patterns and to facilitate understandings of racism which are particular to the Irish context. 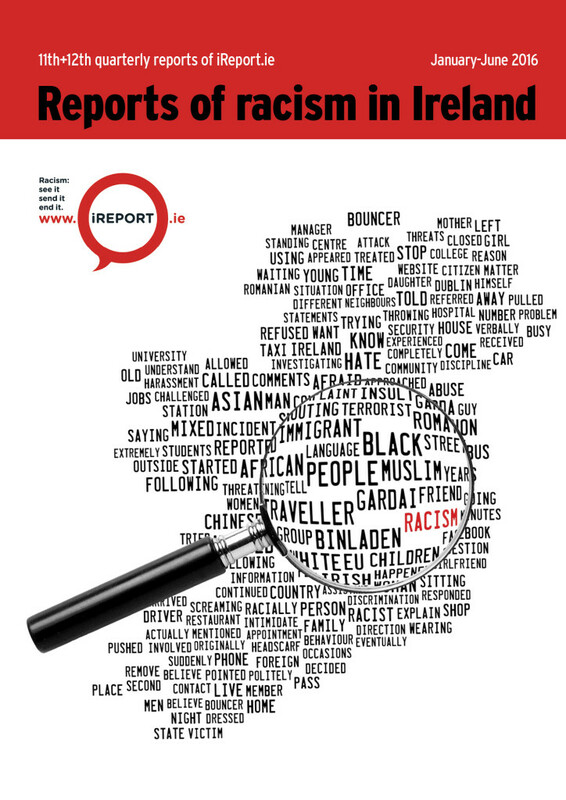 Analysis of the data has been carried out by Dr Lucy Michael in consultation with Shane O’Curry, Director of ENAR Ireland. 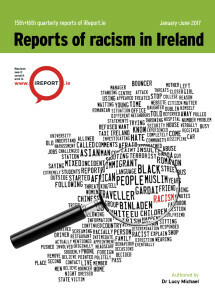 Quarterly reports based on data collected through the iReport Racist Incident Reporting System can be downloaded below. 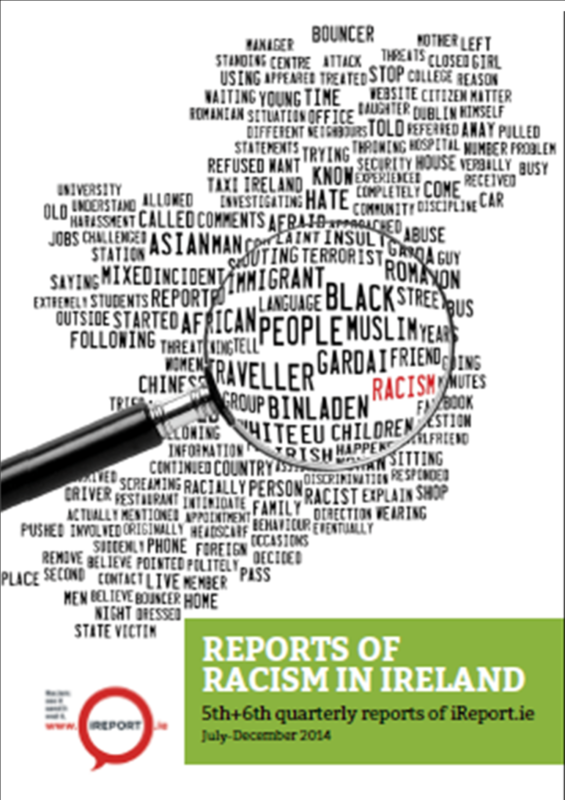 Additionally, the system provides a live data feed on racism in Ireland since January 2015 to present.